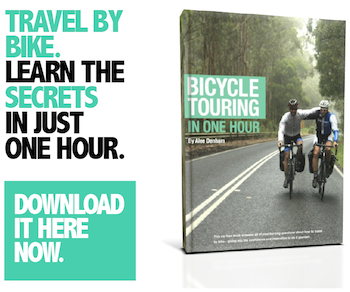 If you’re into bike travel, you’ll know that it’s not just about the cycling; there’s so much to see and do on foot. 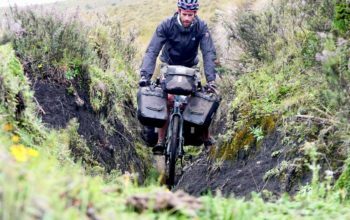 Whether that’s wandering through ancient cities, summiting a mountain or jumping on other forms of transport – carrying bags should be easy. 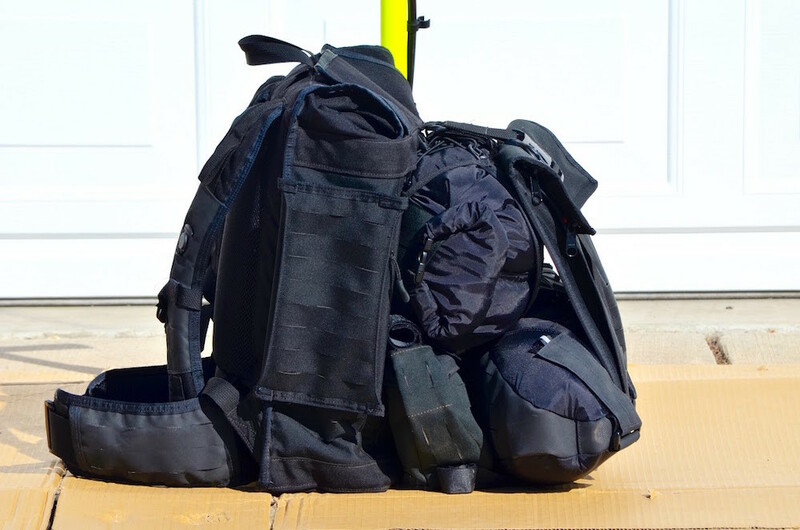 The great thing about a modular system is that you can pick and choose the appropriate amount of gear for your activity, and leave the rest behind! 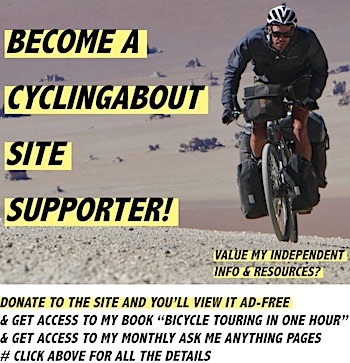 Vagabond have opted to manufacture their backs in the USA and offer a lifetime warranty on their products. 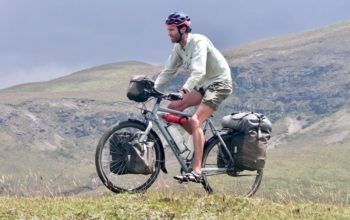 The complete Vagabond Bicycle Bags Modular System. 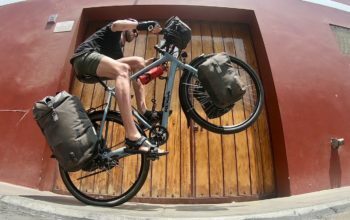 The difference between Vagabond bags, and every other bikepacking product: modularity. 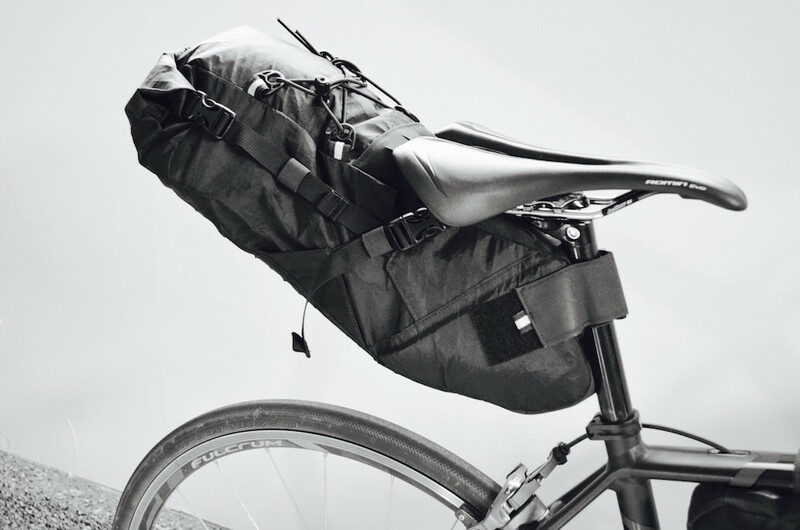 The bikepacking bags all clip and strap to the Rack Sack in one way or another. 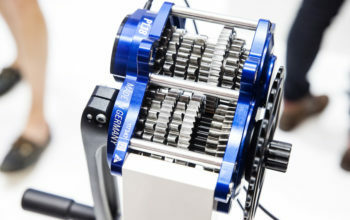 The video at the top of the page best shows how the clips work; they essentially slide into built-in hooks at the back of the Rack Sack. 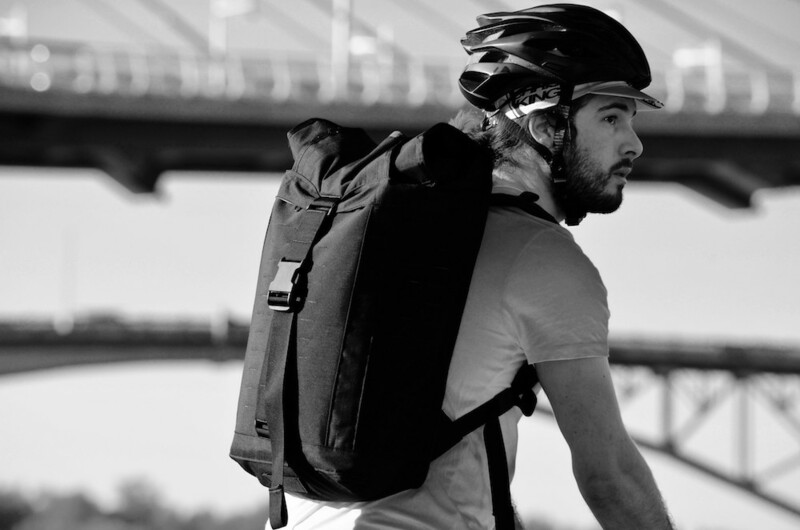 The Ruck Sack waist band separates, and can be used to create a waist bag in combination with the Handlebar Bag. 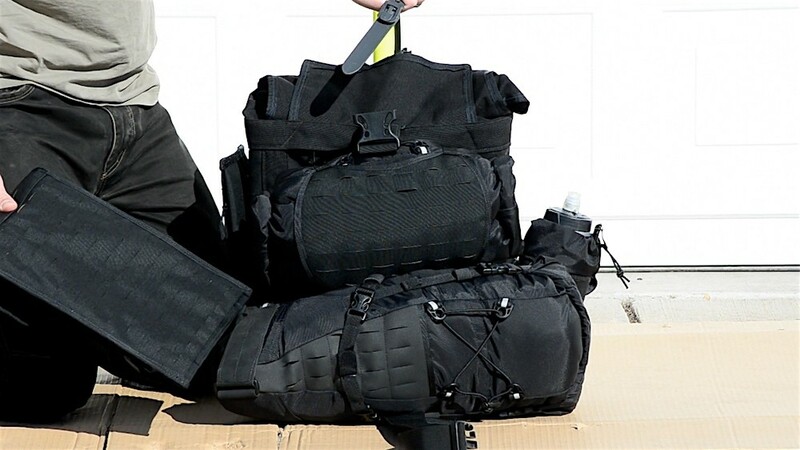 This expandable cycling backpack can carry anything from 5-45L of gear. 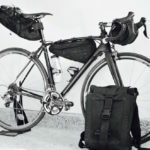 It has a built in hydration sleeve, a laptop sleeve and the important components to clip on the Vagabond bikepacking bags. 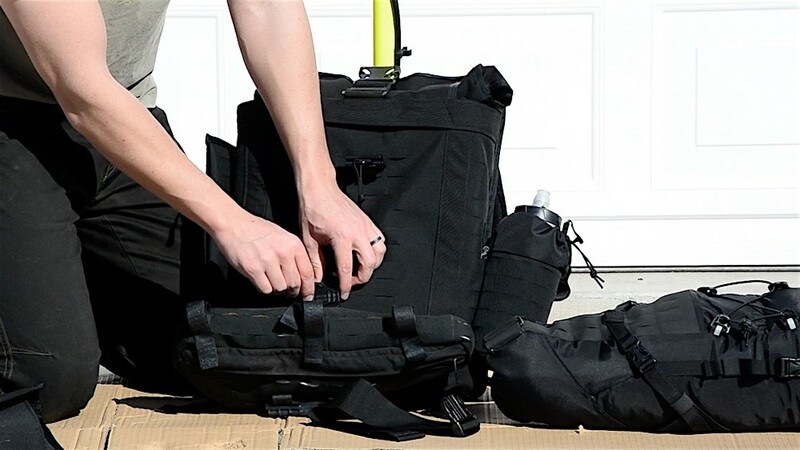 This dual entry bag features a small and large compartment, filling to about 3 litres. 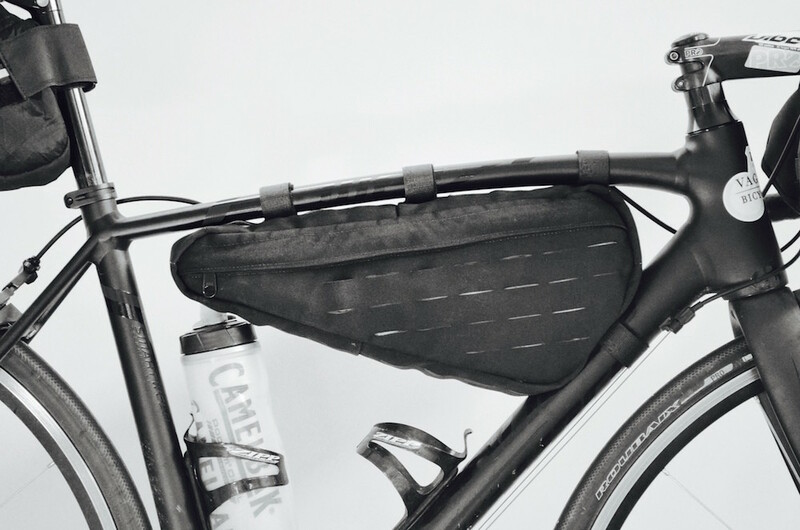 It’s designed to best accomodate water bottle holders, and multiple frame sizes. 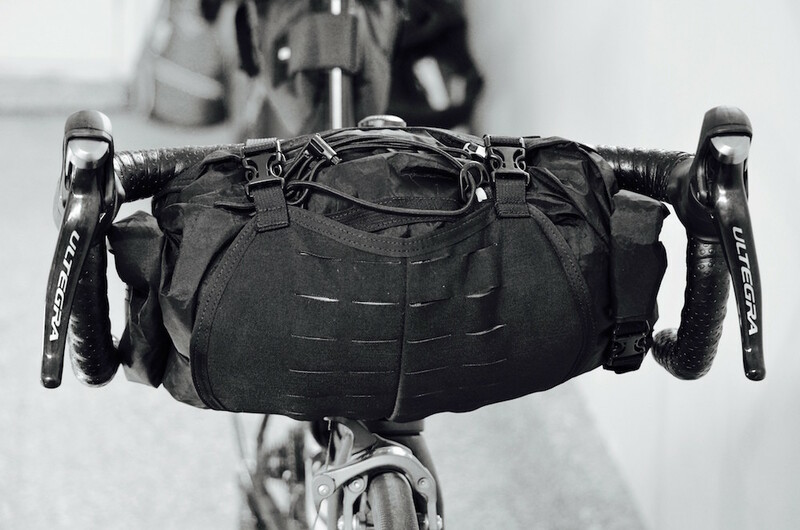 This 5-20 litre handlebar bag features rolls from both ends to improve access to your gear. 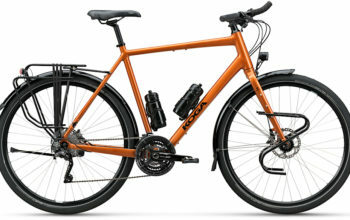 Two compression strap clips allow you to keep your gear tight on your handlebars, and external bungees provide you with space for a rain jacket or bulky items. 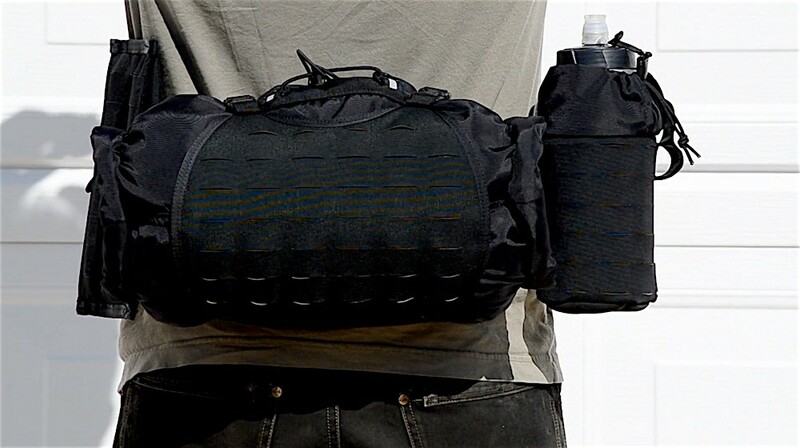 One of the cool things you can do with the handlebar bag is take the Ruck Sack waist band, and turn the handlebar bag into a waist bag! 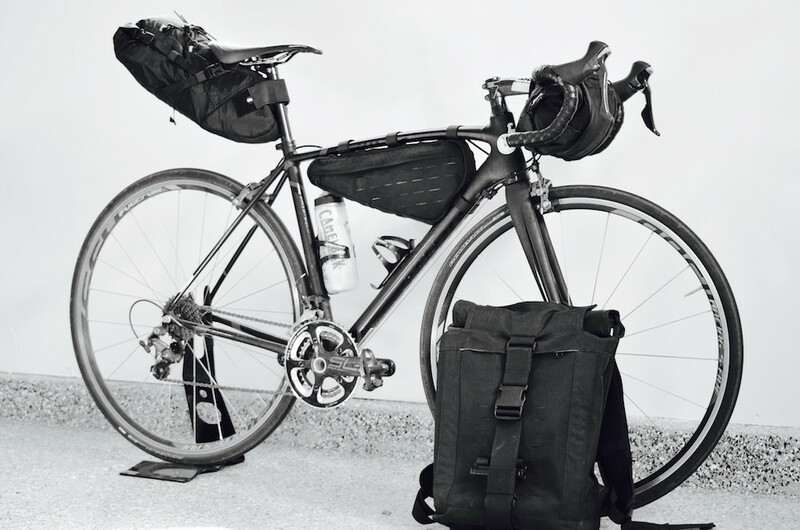 With a 5-12L capacity, the seatpost and seat bag can take on a lot of gear. 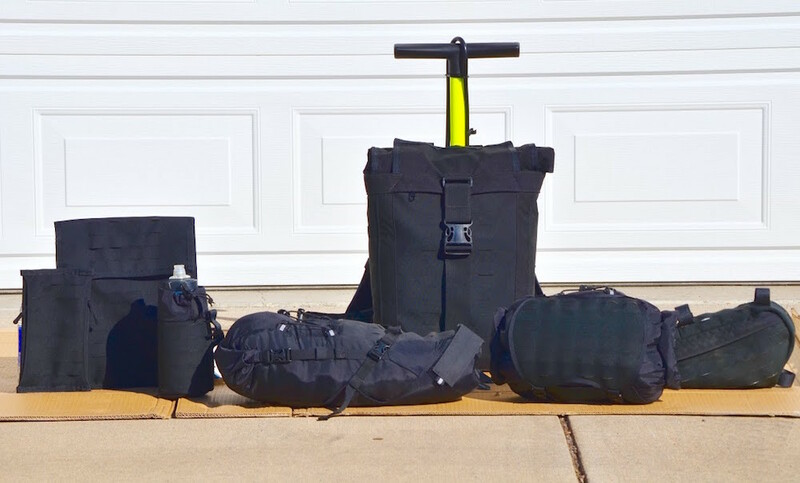 This bag has an internal compression strap to suit the quantity of gear you’re taking, and an external bungee provides you with extra space for quick-access gear.